Fannie Mae plans to pay retention bonuses of at least $1 million to four key executives as part of a plan to keep hundreds of employees from leaving the government-controlled company. Rival mortgage finance company Freddie Mac is planning similar awards, but has not yet reported on which executives will benefit. The two companies, which together own or back more than half of the home mortgages in the country, have been hobbled by skyrocketing loan defaults. Fannie recently requested $15 billion in federal aid, while Freddie has sought a total of almost $45 billion. Fannie Mae disclosed its "broad-based" retention program in a recent regulatory filing with the Securities and Exchange Commission. The company was only required to disclose the amounts for the top-paid executives, who will pocket at least $470,000 on top of their base salaries. The bonuses are more than double last year's, which ranged from $200,000 to $260,000. Another round of bonuses ranging from $330,000 to $429,000 are planned for next February. A company spokesman declined further comment. 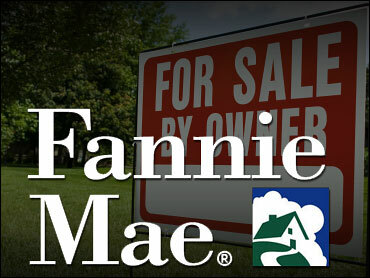 Fannie Mae said regulators determined that the bonuses were needed because keeping key employees "was essential to ensure our viability through 2010, which would allow Congress, the administration and other parties involved time to determine what the form and function of the company will be in future years." "It was critical to retain their most important asset their employees who are being asked to play a vital role in the nation's economic recovery," James Lockhart, the agency's director, said in a statement. "As the previous senior management teams left, it would have been catastrophic to lose the next layers down and other highly experienced employees." But the generous paychecks could prove politically touchy amid outrage over roughly $165 million in bonuses paid out over the weekend by bailed-out insurance giant AIG. Michael Williams, Washington-based Fannie Mae's executive vice president and chief operating officer, is due to receive a $611,000 retention award this year on top of his $676,000 base salary. Williams received a $260,000 retention bonus last year and is in line for another $429,000 next February, for an expected total of $1.3 million, according to the SEC filing. David Hisey, the company's deputy chief financial offer, is expected to receive a $517,000 retention award this year in addition to his $385,000 salary and $160,000 cash bonus. He received a $220,000 retention award last year and is due to receive $363,000 next February, for a total of $1.1 million. The other two executives receiving the bonuses are Thomas Lund, who oversees the company's single-family mortgage business and Kenneth Bacon, who heads up housing and community development. Both are receiving about $1 million. The company's two top executives, Chief Executive Officer Herbert Allison and Chief Financial Officer David Johnson, did not receive the awards because they were new to the company last year. Allison is taking no salary, while Johnson is receiving a base salary of $625,000 and no bonus.